We have today released Fast video cataloger 6.02 with webm supported as a standard video file format. In the past it was possible to add webm either by adding the file specifially or setting webm as a custom video format in preferences. You can always do it that way with rare video formats. 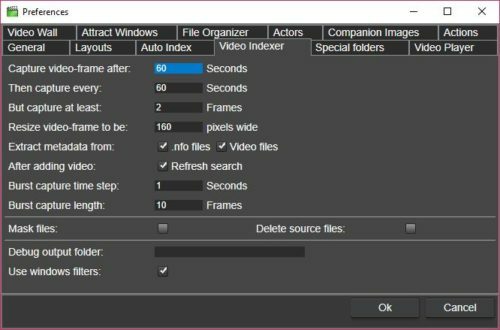 Fast video cataloger supports directshow filters so it supports rare formats and formats we have never even tested or are aware of as long as there is a directshow filter. Webm is becomming more common so we added it to the list of default extensions. When you add a folder it will treat your webm files just like it does with all other video files. We have updated the docking framework that lets you configure your user interface across one or more displays. The update fixes a number of probolems where docking in some configurations did not work as expected. Remember that you can always reset your layout to the default if you want to start over with your layout. And if you are not using layouts you really should try it now. You can now assign shortcuts to custom actions. You can, as before, crete custom action to launch external tools, access web resources or run custom scripts. By using custom actions you can integrate Fast video cataloger with your other software and workflows. We have improved capture of wmv files. When you captured some type of bad wmv files the program could timeout when the video files were read from slow devices or over network. Today we release Fast video cataloger 5.23 and you can get it from the fast video cataloger download page. We have done yet another performance pass on the program and tuned the thread usage. We have ensured we use high-performance async-io where possible. Memory usage has been tuned and much more. Hopefully, you will see better performance when running the software. Fast video cataloger has always supported video catalogs on network devices like windows share and USB drives. We do recommend you keep the actual catalog local for speed reasons but it will work even if it is stored remotely. If you have catalogs with lots of extra data like companion images the parallel nature of fast video cataloger could cause some slow devices to be overloaded and with some drivers, the device could get disconnected. In this new version, we have tuned the load on the network devices to make sure it is both faster and puts less load on the device. And, with some luck, it should reduce these types of problems. 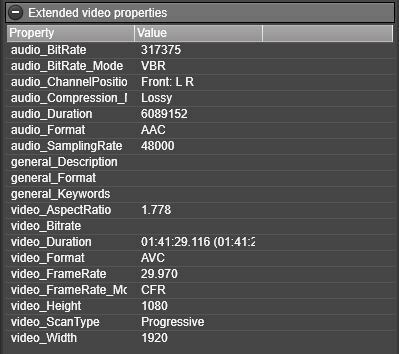 When you add a video to your catalog the program will also try to read video metadata from a “.nfo” file if there is one. “.nfo” files can be generated from a number of different software and we read in tags, links and video descriptions from the file. In this version, we also added as a way to provide a link to a video. We previously added support for a better folder selection dialog. This one allows you to enter a direct link which can be very helpful when dealing with network devices. We have made sure all folder selection dialogs in the program use this new type of control. You can select multiple videos in fast video cataloger by using the ctrl and shift key. 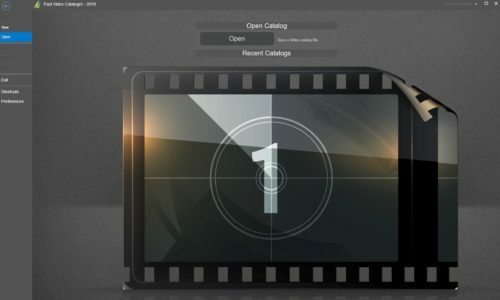 With multiple selections, it is easy to clean up a catalog or add keywords to groups of videos. We have improved on what video of the multiple selected videos gets to show thumbnails in the thumbnail window. … and some general improvements and bug fixes like fixing so you can drop an image on the cover window to set it as a cover for a video, word wrapping on the video description field, improved image quality on companion image thumbnails and more. In this version, we have added two new windows that you can use in your layouts. The video companion image browser windows show thumbnails of all companion images for the selected video and it does it pretty fast. You can multi-select videos and remove companions you do not want in your collection. If you hold shift when removing a companion image you will remove that companion image from all videos in your catalog that has it. This new window will hopefully make it much easier to clean up and use video companion images. The other window we added is basically an image viewer. The preview image displays the currently selected companion image and you can zoom with the mouse wheel. combined with the companion image browser you can now setup a layout where you use Fast video cataloger as an image browser for the companion images you have added. We have improved the scripting support. It is now possible to force a refresh of the user interface so that is updated after a script has done changes to the catalog. We also added scripting support for video indexing. The documentation has been updated to cover the new interfaces and we have added a few more example scripts. The dialog for adding folders has been updated so that you can enter a path in the dialog. This is especially useful when working with remote network devices. All external components have been updated fixing a number of bugs. New shortcuts added, for example, use Ctrl and (+/-) to zoom thumbnails. Added new option to skip small videos from indexing, these small videos are typically broken files that can not be played anyway. Download the new version and try it yourself, https://videocataloger.com/download. The latest version of Fast video cataloger is now available for download from the download page.